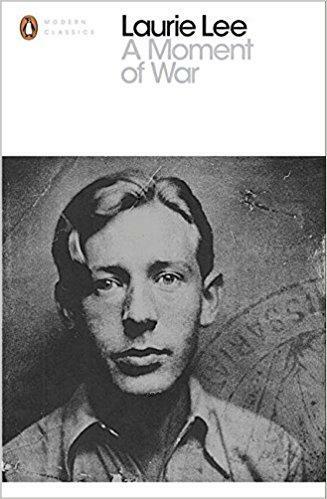 After being unceremoniously whisked back to Britain from Spain by the Royal Navy at the start of the Civil War in the Spring of 1936, Laurie Lee made his way back in December of 1937 by crossing the Pyrenees from France. On re-entering Spanish territory, however, he was immediately arrested on suspicion of being a spy. During his brief return to Britain, Lee had come to understand the significance of what was happening in Spain and what it meant for the world. His journey through Spain the year before had left him with a love of the Spanish people and their subsequent plight had pulled at his conscience. 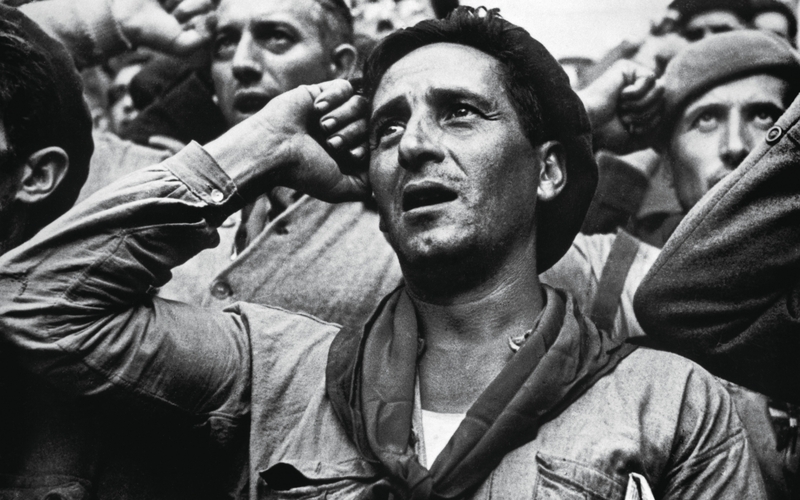 His intention was to join the International Brigades siding with the Republicans in their fight against Franco and the forces of Fascism. For Lee, it was the right thing to do and his intention was honourable if not in hindsight extraordinarily naïve. A Moment Of War is Laurie Lee's memoir of his time during the Spanish Civil War when his youthful idealism informed him of a way to a better world, only for it to be crushed like the petals of a delicate flower. So naïve was Lee at that time, he had no idea there were groups in London who could aid and abet him in his journey back to Spain and to put him in contact with fellow would-be fighters. Instead, he had made the journey by himself, setting off in the middle of winter and packing such non-essential items as books and his violin. Patently, he could have had no idea of what or who might greet him once he got to Spain. The last thing he would have imagined was to have been arrested as a spy and imprisoned in a hole in the ground, from where everything pointed to him being executed. Lee vividly describes the squalor, the degradation, the futility, misery and despair of war, whilst accentuating time and again how Franco had delivered Spain up to Hitler and his Luftwaffe as a testing ground to see what mass bombing could do to a major European country. The answer was the ancient city of Guernica and its annihilation. 'I had killed a man, and remembered his shocked, angry eyes. There was nothing I could say to him now. Tanks rattled by and cries receded. I began to have hallucinations and breaks in the brain. I lay there knowing neither time nor place. Some of our men found me, I don't know who they were, and they drove me back speechless to Tarazona. So Lee is sent to Barcelona where he's told to present himself to the police, who promptly arrest him as a deserter and spy, and throw him into a prison cell. Weeks later, by some miracle again, he's released, packed onto a train and returned to Britain where he would live out the rest of his life... but with an indelible stain upon it. A Moment Of War accentuates the fact that in war there is no glory. As the song goes: War? What is it good for? Absolutely nothing. War is oblivion and the ghost of mankind. War is a black hole to avoid. Fight war not wars. Give peace a chance. War is over if you want it. 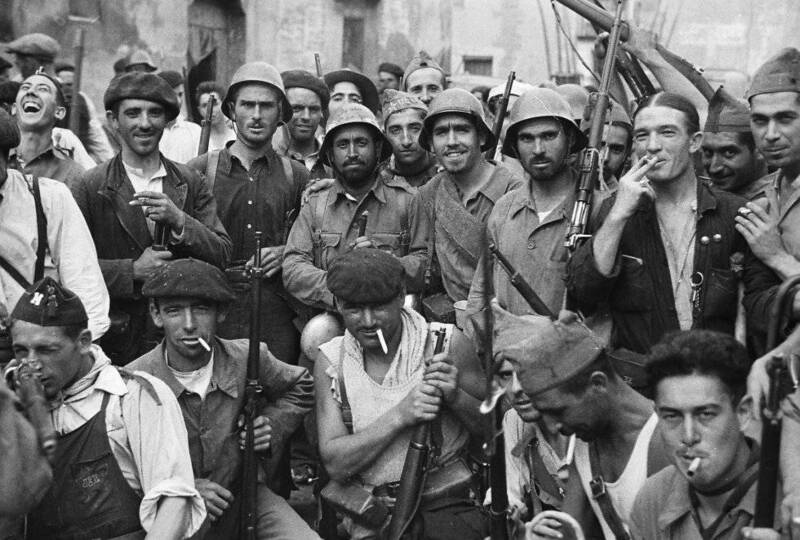 The dichotomy here being that however futile and inglorious war is, there are some wars that need to be fought to avoid a greater war, the Spanish Civil War being a case in point. If England, France and America had only taken heed of the requests and appeals for help and support from the Spanish Republicans and their comrades, even if only in the form of weapons being supplied, then there would have been more of a chance of withstanding the attack from Franco and his Fascist supporters. If only England, France and America had intervened against the amalgamating forces of Fascism as represented by Hitler in Germany, Mussolini in Italy and Franco in Spain then the course toward the Second World War may have been altered. That's not to say the Second World War may have been averted but Germany would not have been so practised in aerial bombardment if they hadn't been able to use Spain as a testing ground. There is no glory in war, and Laurie Lee makes that very clear. There are, however, some wars that needed and need to be fought. The Spanish Civil War was one of them.